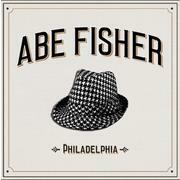 Abe Fisher is seeking a motivated server. This individual will join front and back of house teams with a steadfast commitment to the highest hospitality standards and product knowledge in a fast paced, elevated dining atmosphere. Strong beverage knowledge is a must, particularly in the wine and spirit worlds. The right candidate is both professional and personal, dependable with an impeccable work ethic and a team player attitude. This is a full-time position, and weekends are mandatory and 2 years previous experience is required. We offer competitive pay and great hours within an ever expanding company. Co-owned by James Beard award-winning chef/partner Michael Solomonov and James Beard award-winning restaurateur/partner Steve Cook, the CookNSolo restaurant group was born and bred in Philadelphia. Comprised of Zahav, Abe Fisher, Dizengoff, Goldie, Federal Donuts, and Rooster Soup Company, we aim to dish up innovative, unique, and high-quality food and exceptional hospitality.